Do you know what the hieroglyphs on your dashboard mean? If not then you should! 1. 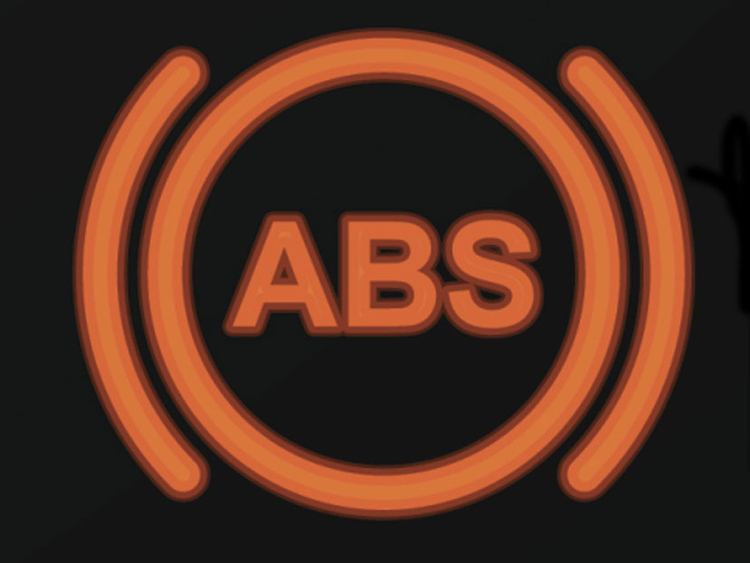 ABS - Advanced Braking System warning light. If the light shows when you're driving take the car to a garage immediately. 2. Air vent direction - The below symbol means air is directed to your face and feet. You can change this to preference. 3. Airbag - Airbag fault warning light. Take your car to a garage immediately. 6. Engine management system warning light - Take your car to a garage immediately. There could be a serious problem. 8. Cruise control set - Not all cars have cruise control. This means it is set. 9. Dipped headlights - Normal headlights on. They are dipped down by design so they don't dazzle oncoming traffic. 10. Door open - One or more doors are not closed properly. 12. Front fog lights - Not all cars have front fog lights. They are only to be used in fog. Driving with them on in normal weather (especially at night) is extremely dangerous as they dazzle other drivers and can cause accidents. 13. Fuel level - Denotes the fuel gauge. May illuminate when fuel level is low (or a simple light instead). 16. Hazard lights - To warn other drivers that you are stationary (that you're a hazard) or of an accident ahead. You must never drive with your hazard lights on. 17. Indicators - You must use your indicators when turning off or changing lanes, sadly not many UAE drivers do! Only one arrow generally appears. 18. Main beam headlights - This symbol is usually blue. These lights blind oncoming traffic and are only to be used when no other cars are around, mainly in unlit or dark rural areas. Never on the highway. 19. Low brake pad warning - Take your car to a garage immediately and get the brakes checked. 20. Rear fog lights - All cars have rear fog lights. They are only to be used when it is foggy. Using them in normal weather is dangerous as they dazzle other drivers. 21. Rear window washers - Not all cars have rear wipers and washers. 22. Rear window heater - You will rarely need this in the UAE. It's to heat the rear window. 23. Recirculated cabin air - Air is recirculated around the cabin, as opposed to using outside air. Helps keep car cooler but does make it more stale. 24. Seat temperature - Usually found in more upmarket cars. 25. Seatbelt unfastened - Seatbelts are unfastened, buckle up! 26. Side lights - Sometimes this symbol displays when normal headlights are on. But the symbol does refer to the side lights, to be used at dusk. 27. ESP - It stands for "Electronic Stability Program". ESP is essentially extrasensory perception; it allows the vehicle to read the road and use the anti-lock brake system and traction control to stabilise the vehicle. 28. Tyre pressure warning - check your tyres pressures to make sure they are set correctly. Consult your car's manual. 29. Water temperature - if the needle rises or the light illuminates it means your engine is getting too hot. Stop and check the water level. 30. Windscreen wiper washer fluid - Sometimes appears when washer fluid bottle is empty. Otherwise located on the stalk.